Does your family travel in an RV? Visitors to Death Valley National Park now have options thanks to the Furnace Creek Ranch. The Fiddler’s Campground offers 35 RV sites (but no hook-ups). 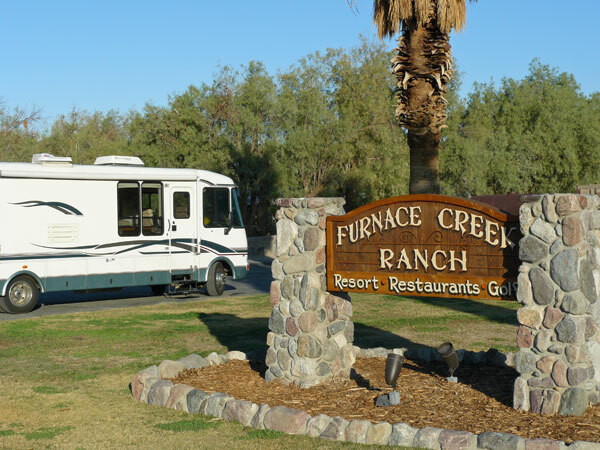 Located at The Ranch, the Furnace Creek RV Park offers 26 full-hookup RV sites and can accommodate RVs up to 50 feet. Guests enjoy swimming in the nearby spring fed pool, laundry and shower facilities, complimentary wireless internet and easy access to restaurants. For those who like to spend time on the links, the Furnace Creek Golf Course is directly adjacent to the Campground. As the lowest elevation course in North America, it’s one for your bucket list. Both sites provide the perfect jumping off place to enjoy Death Valley National Park and the extraordinary night sky. What's this about a super volcano turning the roads inside our treasured national park into a "soupy mess"? Park officials once closed a 3.3 mile long stretch of Firehole Lake Drive because the pavement has become too soft for vehicle traffic. A spokesperson for the park explained that Yellowstone, our first national park, sits on top of the caldera of an ancient super volcano. 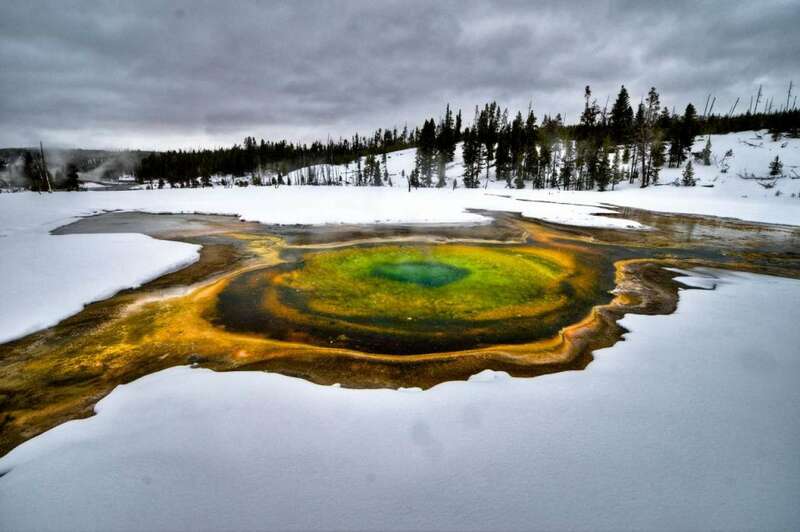 That's the source of the heat that spews steam from geysers like Old Faithful. That same heat has melted roadways. In fact, geologists recently discovered that the volcano was more than twice as large as previously determined. 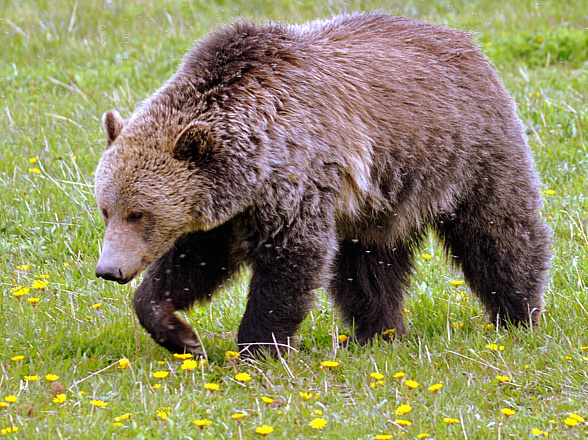 Established in 1872, Yellowstone is the wonderous home to grizzly bears, wolves, and herds of bison and elk. It is the core of one of the last, nearly intact, natural ecosystems in the Earth’s temperate zone. Visitors can find travel and other Park updates here. As a resident of both Montana and Arizona, in recent years I was pleased to note that President Obama and his family chose my "backyard" parks" - Yellowstone and the Grand Canyon- to spend precious family time. In the end don't we all vote with our feet? They will also followed in historic footsteps. Instead of staying in one of Yellowstone’s lodges, President Franklin Delano Roosevelt chose to stay at the private home of Harry Child, the owner of the Yellowstone Park Company, which operated the park lodges and other concessions. His reason: he did not want the general public to see him in his wheelchair. Designed by Robert C. Reamer, the same architect who designed the Old Faithful Inn, the large home is a single-floor prairie-style structure, so it can easily accommodate a wheelchair. 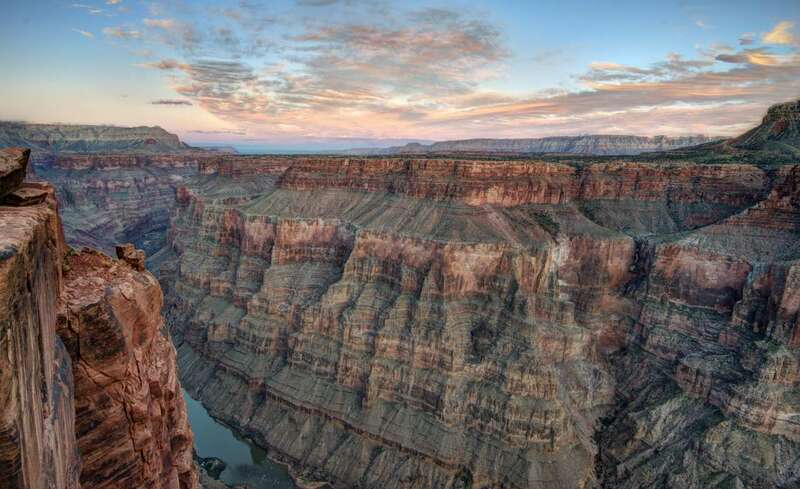 Bill Clinton visited both the Grand Canyon (in 2000) and Yellowstone (in 1995). President Clinton stayed in the Mary Colter Suite of the Grand Canyon’s El Tovar and had lunch at Yellowstone’s Old Faithful Inn. President Clinton and the First Lady also took a stroll around Old Faithful Geyser. President Gerald Ford was already familiar with Yellowstone National Park when he visited in 1976; he had been a 23-year-old National Park Service ranger in 1936. Ford once said his time in Yellowstone was “one of the greatest summers of my life.” One of his duties was to meet and greet VIPs at the Canyon Lodge. He also protected other park rangers who fed bears at the bear-feeding truck, a popular visitor attraction at the time. The park long ago stopped feeding bears and other wildlife. In 1883, President Chester Arthur rode a horse from the southern to the northern entrance of the park and met supporters at the Mammoth Hot Springs Hotel before departing the area aboard the newly completed Northern Pacific Railroad. Although it wasn’t quite completed and still lacked a complete roof, President Arthur dined at the Mammoth Hot Springs Dining Room before his departure. President Theodore Roosevelt made his final visit to Yellowstone National Park in 1903. Although he was on a two-week vacation, he managed to squeeze in some business too. Roosevelt, Harry Child and Robert C. Reamer reviewed plans for the Old Faithful Inn, which was completed the following year. During that trip he also laid the cornerstone for the Roosevelt Arch at the northern entrance to the park. The arch bears the inscription: “For the benefit and enjoyment of the people.” President Roosevelt also visited the Grand Canyon – in 1903, before it was a national park and again in 1911.
n 1872, President Ulysses S. Grant signed the bill that designated Yellowstone the world’s first national park. It was a move that has been called America’s best idea. Sadly, President Grant never visited Yellowstone. During his visit, President Jimmy Carter traveled to one of the islands on Yellowstone Lake to fish with National Park Service officials. After his presidency, Carter returned to the park and had pizza in the employee pub at Lake Hotel. He even signed the wall of the pub, and his signature is still visible today.President Warren Harding visited the park in 1923, shortly before he died. Staff in the park named a geyser after him and observed a moment of silence in his honor. President George Herbert Walker Bush visited both the Grand Canyon and Yellowstone. His visit to Yellowstone in 1989 was the summer after the historic Yellowstone fires. He was briefed by park officials about Yellowstone fire science. Unspoiled natural places, authentic cultural experiences and distinctive communities draw travelers from around the world to America’s “last best place”; Montana. With Yellowstone to the south and Glacier National Park on the northern border, this Big Sky state offers the perfect launching point to explore two of our national treasures. Visit stops along the Lewis and Clark trail while you’re at it. Take a stroll back in time as you observe remarkable living history demonstrations, dine in century-old structures, enjoy ice cream in an old-fashioned parlor, and ponder tales of ghosts said to drift along the boarded sidewalks in Virginia City and Nevada City. City tours via fire engine trolley, carriage rides and a follies stage show make for a vintage flavored getaway. Helena, the state’s capital city with a rich mining history, is designated one of the country’s best small arts towns. The Montana Historical Society, founded in 1865, houses one of the country's most important collections of Charles M. Russell art as well as the work of noted frontier photographer F. Jay Haynes. Don’t miss the Archie Bray Foundation, established in 1951 on the site of a brick factory. Tour the studios and grounds of this unique endeavor in the ceramic arts that attracts artists from around the world. Ask about summer programs for adults and children. Nestled in meadows and surrounded by forestland, Big Sky is an outdoor lover’s paradise. A year round playground, this mountain town is home to Big Sky and Moonlight Basin ski resorts as well as fishing, mountain biking, golf, and rafting just to get the list started. Hiking is popular in the nearby Lee Metcalf Spanish Peaks Wilderness. Attend a rodeo, stay at a guest ranch, participate in a round up. Ride horses into the hills, visit a stock yards. 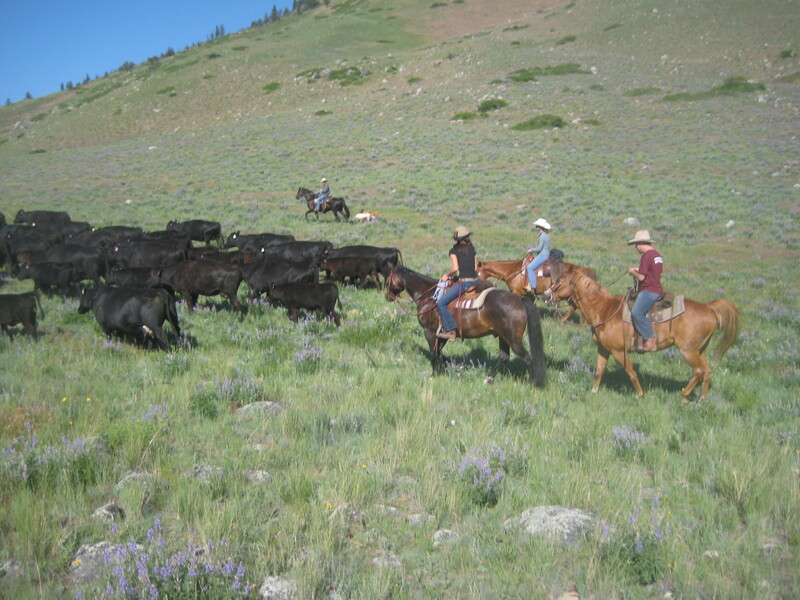 Throughout Montana, you’ll enjoy the chance to see real cowboys at work and learn about the rich culture that provides a time tested and colorful strand in our national tapestry. 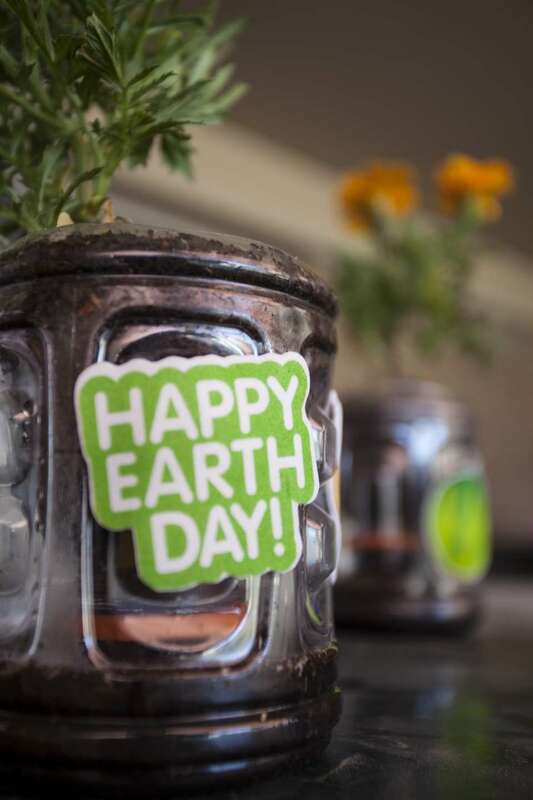 Every day should be an Earth Day celebration. Here are some special ways we can honor our beautiful planet. Take part! Get close to the land by planning a farm stay. You’ll wake to a rooster call or the sounds of other barnyard animals welcoming in the day. Share in the chores or simply observe a lifestyle that is likely quite different from your own. Enjoy farm fresh eggs for breakfast before pitching in to help with the day’s chores. Depending on the farm you choose, you can relax on a hammock, go for a horseback ride, pick berries, fish the local stream or read a book under a shade tree. Animals and activities vary by farm. National Kids to Parks Day. Join your children in a grassroots movement to celebrate our country’s local, state and national parks. Grown-ups are encouraged to take their children and grandchildren to one of thousands of treasured parks across the country. Kids can tweet about their participation or send photos that will be posted on a national map. Check the site for park activities and other family-friendly suggestions. Contact: www.BuddyBison.org. ; www.ParkTrust.org. Costa Rica was an early leader in the ecotourism movement. Visit Lapa Rios Ecolodge on the country’s Osa Peninsula, for an intense wildlife and biologically diverse experience. Choose to embark on this Tropical Adventure and you’ll find your family on the “Twigs, Pigs and Garbage Sustainability Tour”, joining wild cat researchers in their efforts to conserve jaguar and pumas and exploring nearby tide pools. Contact: 800- 345-4453; www.Wildland.com; www.laparios.com. Aldo Leopold Nature Center. Monona, Wisconsin. Visit the nature center inspired by Wisconsin naturalist and author Aldo Leopold for outdoor activities designed with the busy family in mind. Explore walking trails supported by season specific backpacks, offering exploration guides and an activity kit. Visit the Leopold Interpretive Trail and the special “touch table” that encourages young children to get a feel for nature items like feathers, bones, fur and rocks. Ask about spring break and summer camp programs just for kids. Visit America’s historic lodges and find rustic log exteriors, well-worn pine floors, or riverside ambience. Join your family in a walk back through time when you book lodging with a story of its own. Located in Oregon’s Mount Hood National Forest, this magnificent lodge was built at the height of the Great Depression by unemployed craftspeople hired by the Federal Works Progress Administration. 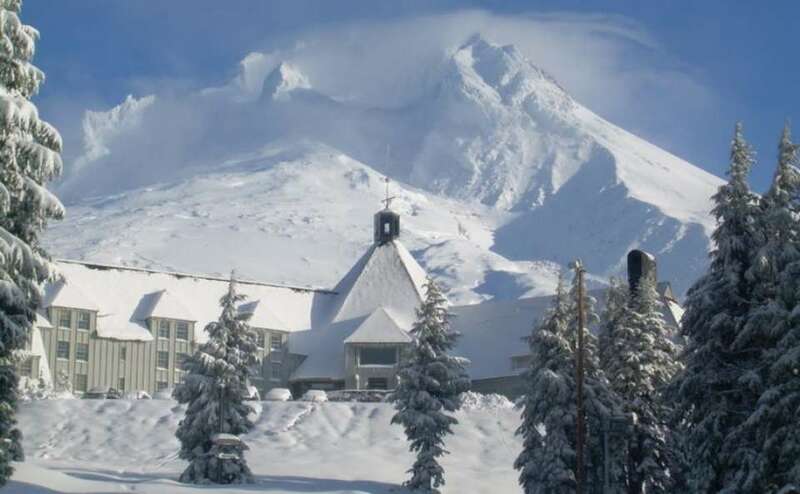 Completed on September 28, 1937, the lodge has long served as the centerpiece of a mountain playground where families ski, hike, dine, mountain bike, learn about the local flora and fauna and simply enjoy the high altitude natural beauty. Visit the complex landscape that is protected within the Olympic National Park & Forest. For bird watching, including the most significant habitat for bald eagles in the lower 48, beach combing, hiking and fishing, there are few destinations where families will find more beauty and opportunity to bond with nature. Consider the Kalaloch Lodge as a cozy home base. Serving up rustic yet charming accommodations, the Lodge offers tremendous views of the Pacific as well as the opportunity to spot puffins, sea otters, seals and a long list of other sea birds. Tap into rich history by asking about the dozens of shipwrecks that have occurred in the area. Rapids Lodge and Restaurant, Grand Lake, CO. Located on the banks of the scenic Tonahutu River, this charming lodge has been offering Rocky Mountain hospitality since 1915. Nearly a century ago the doors opened offering running water and electricity generated by a nearby water wheel. Today, guests enjoy the outdoor wonderland that is Rocky Mountain National Park and then return to cozy lodge or cabin rooms and scenic dining overlooking the river. Clay Hill Lodge. Lyons, OR. Located on Oregon’s Rogue River, this “off the grid” lodge offers families the chance to enjoy pristine wilderness, hiking, bird watching, rafting and fishing in the country that provided Zane Grey inspiration for many novels. Steeped in history, the lodge has served as base camp for scores of enthusiastic fishermen including Clark Gable, Herbert Hoover, Victor Moore and Ginger Rogers. Garland Lodge and Resort. Lewiston, MI. Known as the largest log resort east of the Mississippi, this expansive playground is a family favorite for award winning golf, color tours, fishing, and hiking. A blend of old and new, sophistication and rustic charm, the AAA Four Diamond resort complex includes four championship golf courses. Ask about their family-friendly golf and spa packages. Open since 1926, this charming waterfront lodge is located 30 minutes north of Fort Myers on Pine Island off Florida's Gulf Coast. Enjoy the local art community, live music, bird watching and picturesque sunsets. Visit pre- Columbian mounds of the ancient Calusa people and paddle through the local waterways. The sport of tarpon fishing originated in Pine Island Sound in the late 1880s so you’ll want to grab a rod and try your luck with one of the local outfitters. For some, venturing off the road most traveled doesn’t come easy. Here are several programs designed to help you get where you and your family really want to go: beyond the beaten path. This is your chance to journey into the wild. But you won’t have to go it alone! 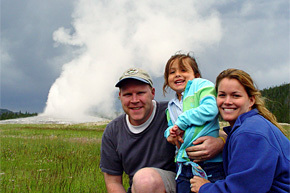 The Yellowstone Association, the official educational partner of the National Park Service founded in 1933 to foster the public’s understanding, appreciation and enjoyment of Yellowstone National Park and its surrounding ecosystem, provides programs almost year-round that enable parents and children to delve deeper into this amazing natural environment. During the winter, small groups head out with guides, on foot, skis, snowcat or snowmobiles. They’ll learn more about the first national park in the United States and the wildlife that lives within the park's boundaries. You can choose to head out at sunrise to catch the wolves in action or observe the bison warming themselves near the spouting geysers. Another program takes visitors on cross country skis deep into the interior of the park for a glimpse of reclusive wildlife and vistas seen by few. Yet another group sets off into the Northern Range, where the bears are most plentiful. Each evening, adventurers return to the hotel or lodge and can participate in spirited educational sessions led by the Park Service before a welcoming soak in the hot tub. During the spring, summer and fall, additional four- to six-day programs highlight the best each season brings forth. 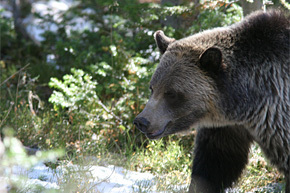 Choose the Trails Through Yellowstone program and hike throughout the park with an expert guide who will provide insight into the habitat and teach explorers how to travel safely in grizzly country. Opt for the new Essential Yellowstone program and an Institute naturalist will help you explore off the beaten path and lead you to the hidden gems that lie beyond the main roads. Or join the Roosevelt Rendezvous group and learn how to capture the beauty of the natural world—including the annual raptor migration—with your camera. The park offers two programs—one in winter, one in summer—designed specifically for families with children 8 to 12 years old. In winter, kids and their parents will take photographs, learn animal tracking skills and take to the snow on skis or snow shoes. In summer—mid-June through mid-August—the days are active. 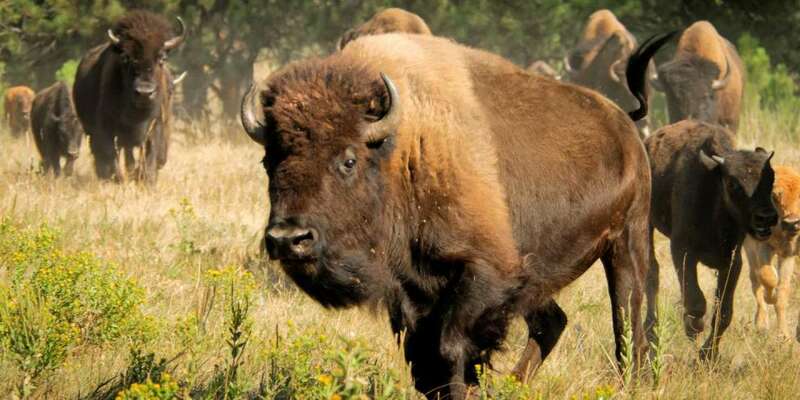 Families learn about the more than 300 geysers and mud pots, explore the trail system and check out the many species—elk, bison, wolves, bears, coyotes—that are enjoying the summer sun. So many creatures to count, so little time! Both programs enable kids to earn the Junior Ranger badge (read more about ranger programs here). They also provide the opportunity to learn about the area’s ecosystem from the experts at an early age. Yet another alternative for those eager to sink deeper into Yellowstone’s rich history and amazing eco-system is the Ed-venture program. 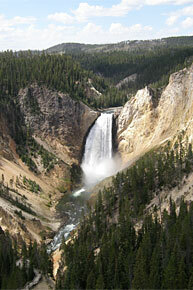 The eight-hour trips provide a private and personalized introduction to the wonders of Yellowstone. Programs focus on the diverse and abundant wildlife of Yellowstone’s Northern Range, natural history and geology in the Canyon and Lake Yellowstone areas, and the thermal features in the Old Faithful area. Families or small groups can also craft programs to suit their knowledge levels or specific interests. Head into the backcountry or learn to use a spotting scope to get closer to nature than you thought possible. The idea is to deepen the visitor’s knowledge and understanding of all things Yellowstone.